Few words before this post. 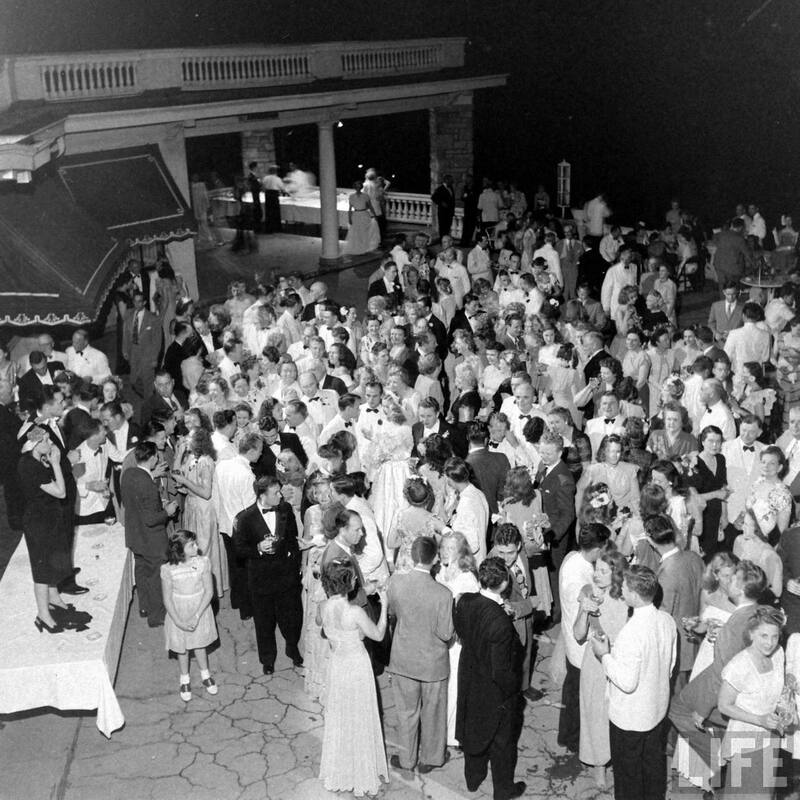 No, I did not become a fan of weddings, but I thought that the fact that this wedding happened exactly 63 years ago today is the neatest thing; people in these photos should be in their 80’s so it’s not impossible that someone would remember being there or hearing about it. None of the text below belongs to me, it was reproduced from the Life Magazine article from July 14th, 1947, which has many additional photos and a detailed description of the preparations and the ceremony. Although my friend Hyperblogal was already operating his photography business in 1947 these photos were not taken by him; a famous Life Magazine photographer Nina Leen gets the credit for them. Lastly, this is going to be long, so keep scrolling. More photos can be found here. 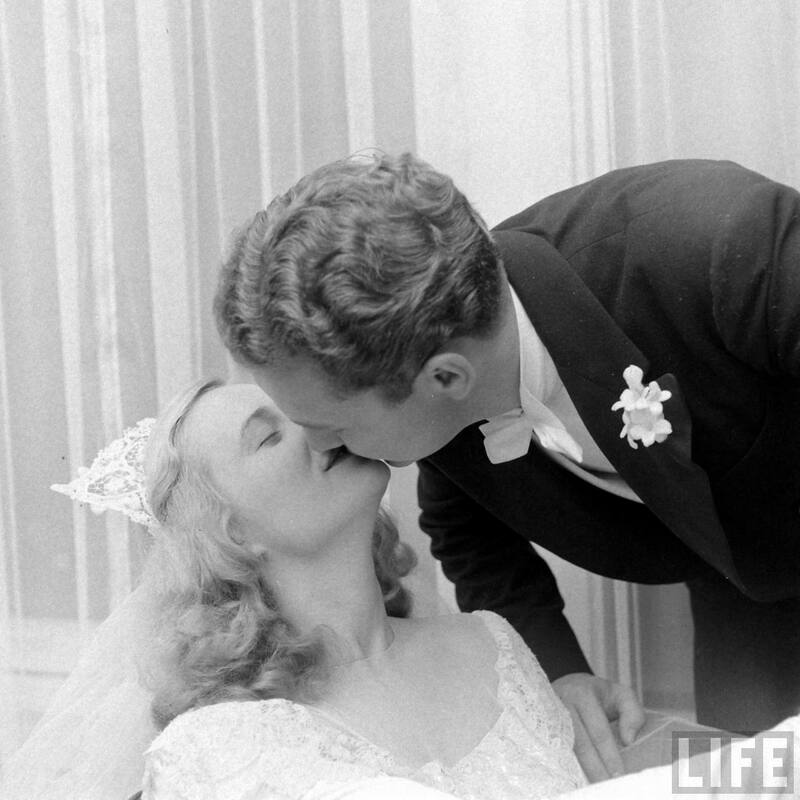 The boom in weddings, which was set off at the end of the war is still going strong. Last month it was responsible for a bumper crop of brides throughout the U.S. Some of the weddings were big and grand, others small and quiet, but every one was a major event in the lives of the participants. As a tribute to this burgeoning romanticism, Life herewith presents a picture album of a U.S. wedding which took a place in Kansas City, Mo. on June 21 (*1947). The bride was blue-eyed, blond Barbara Winn, 23–year old daughter of Mr.and Mrs. Edward Lawrence Winn of 1022 West 64 Street Terrace, Kansas City. Her father is well-to-do contractor. 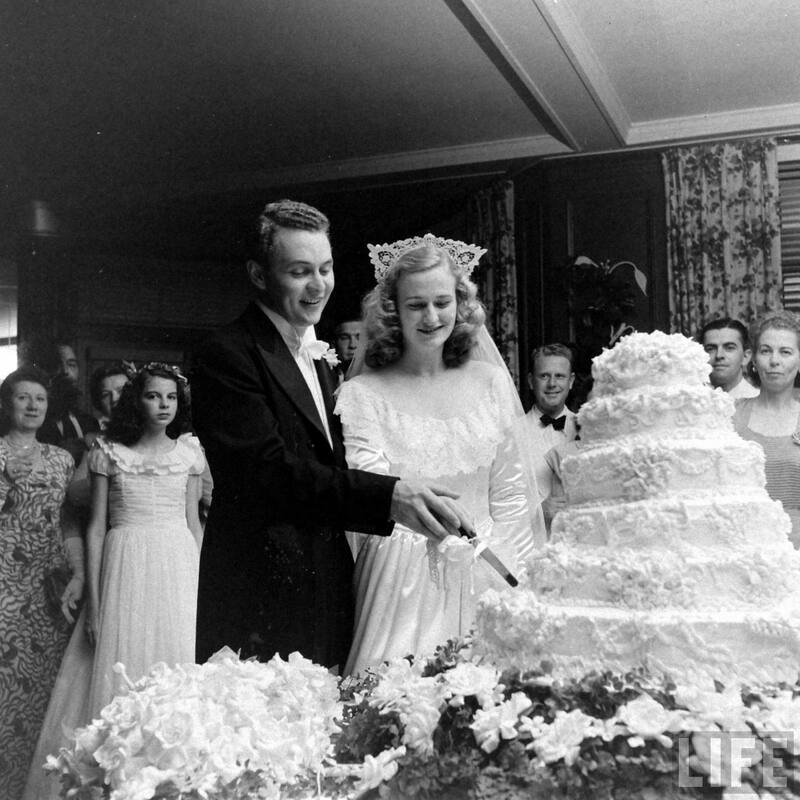 The groom was Thomas Ferrel Bailey, 23, of Topeka, Kan., whom Barbara first met at a New Year’s Eve party in 1945. 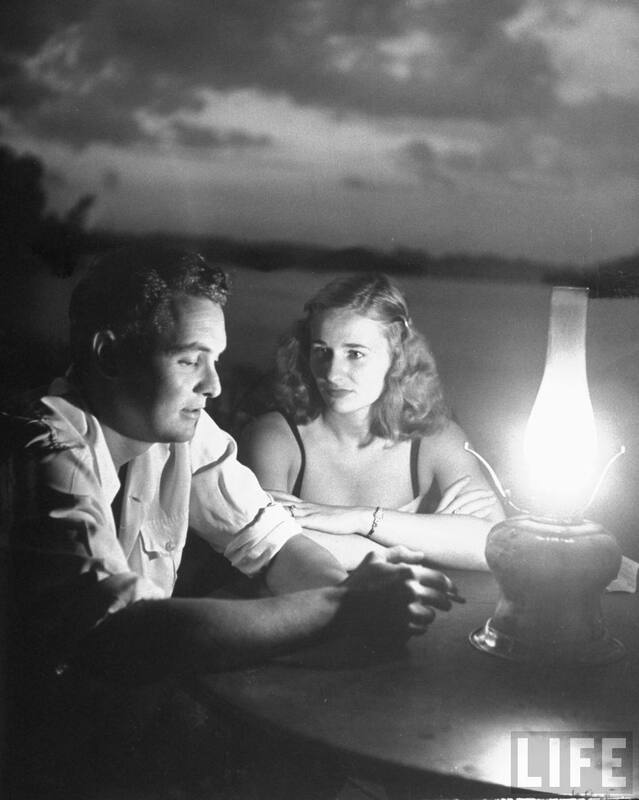 Tom had just been discharged from the U.S. Army Air Forces as an air cadet and was returning to complete his studies at the University of Kansas, from which Barbara graduated in 1945. When Barbara and Tom announced their engagement, they decided that they wanted a big wedding to entertain all their friends. Barbara’s mother particularly liked the idea because she had eloped herself and had missed the excitement of a big church ceremony. And since Barbara was his only daughter, her father was anxious to make the wedding a resounding success. For the groom the wedding preparations were pretty hectic because he was being graduated form the University of Kansas on the Monday before the Saturday ceremony and was piloting his owe plane back and forth to his home in Topeka on countless last-minute errands. 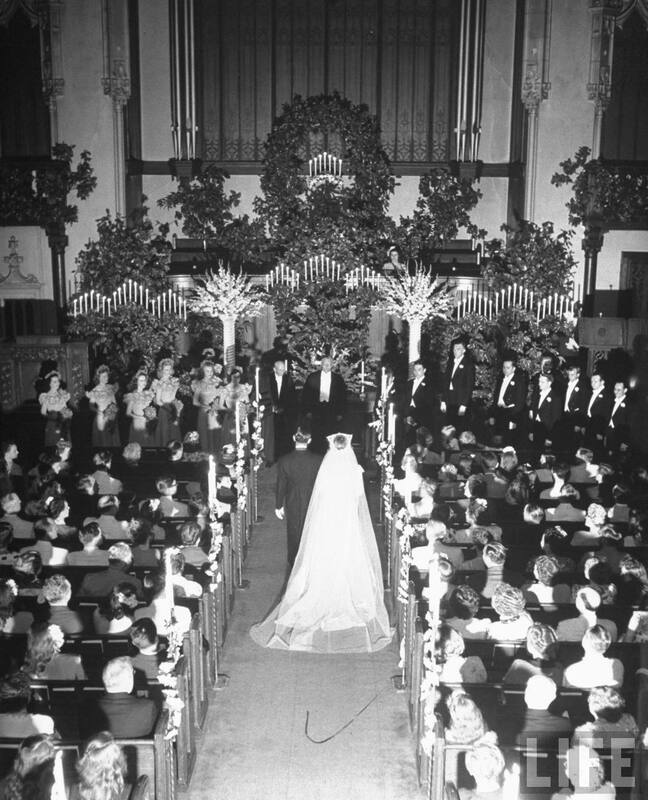 A large wedding like Barbara’s is one of the modern society’s elaborate rites. In staging it Barbara was constantly helped by her parents and her brother Larry, but like most American girls she made all the decisions herself. It was in fact a full time job. How she brought it to a happy conclusion is shown below. Tom Ferrell and Barbara Winn planning their June wedding.©Time, Nina Leen. 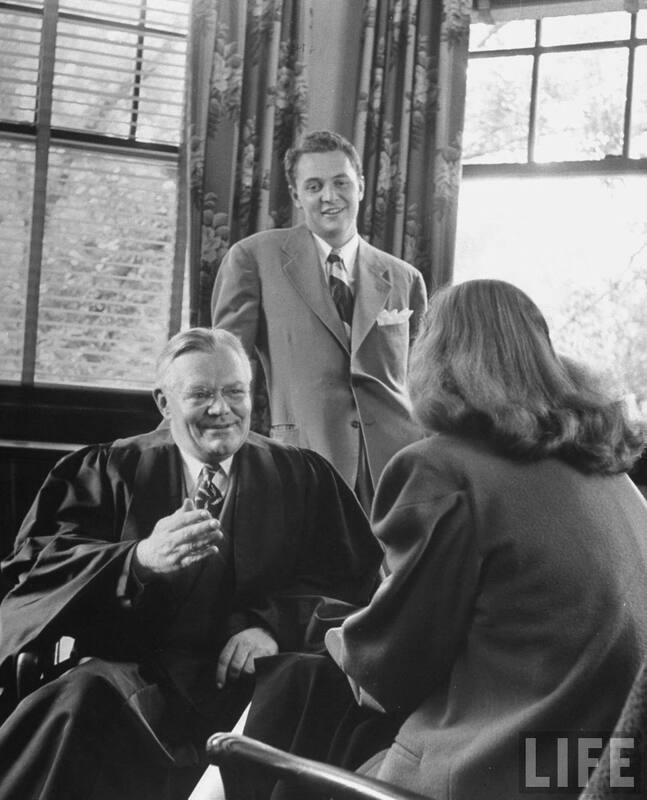 Tom Ferell and Barbara Winn consulting with the minister in their chuch before the wedding.©Time, Nina Leen. 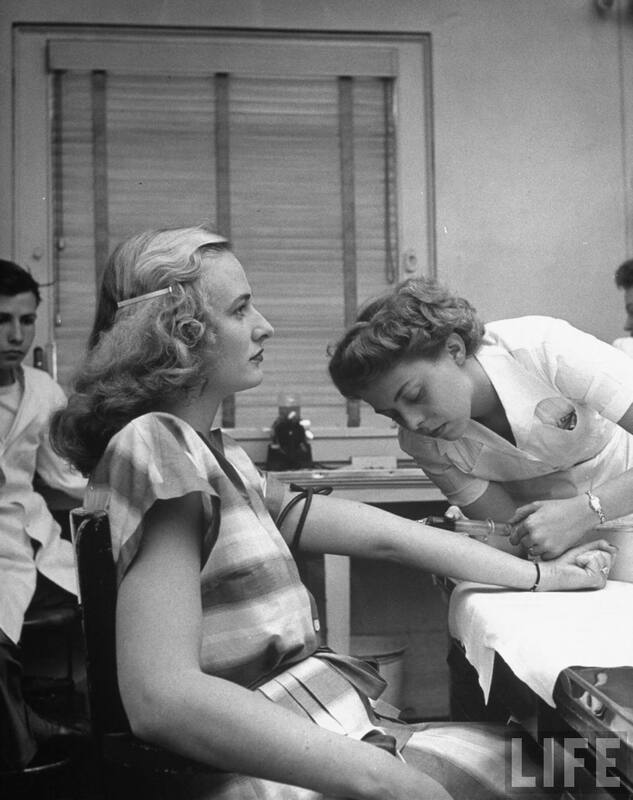 A Wasserman test is given to Barbara for $2. As a means of checking social diseases the State of Missouri wisely requires every couple to pass this painless blood test before they can be married. ©Time, Nina Leen. Bride Barbara Winn shopping with her mother for a wedding cake for her wedding. Six weeks before the wedding Barbara finally ordered a six-layer cake from a caterer who specializes in wedding cakes. 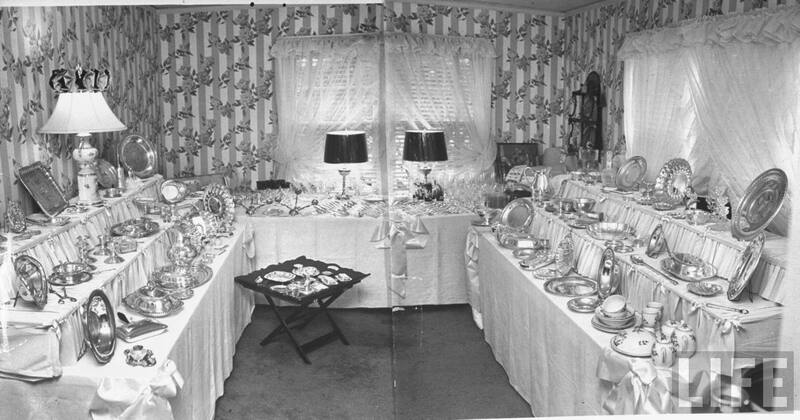 It was a marvelous thing adorned with candy gardenias and bowknots. 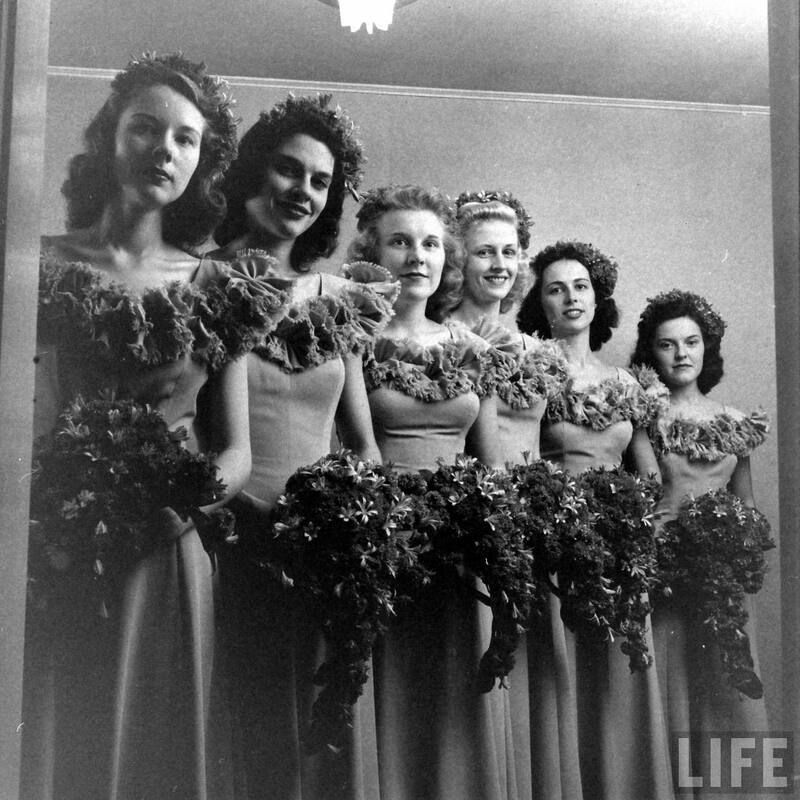 It cost $100 and rested in a wreath of real gardenias.©Time, Nina Leen. Invitations are a chore for Barbara's family. 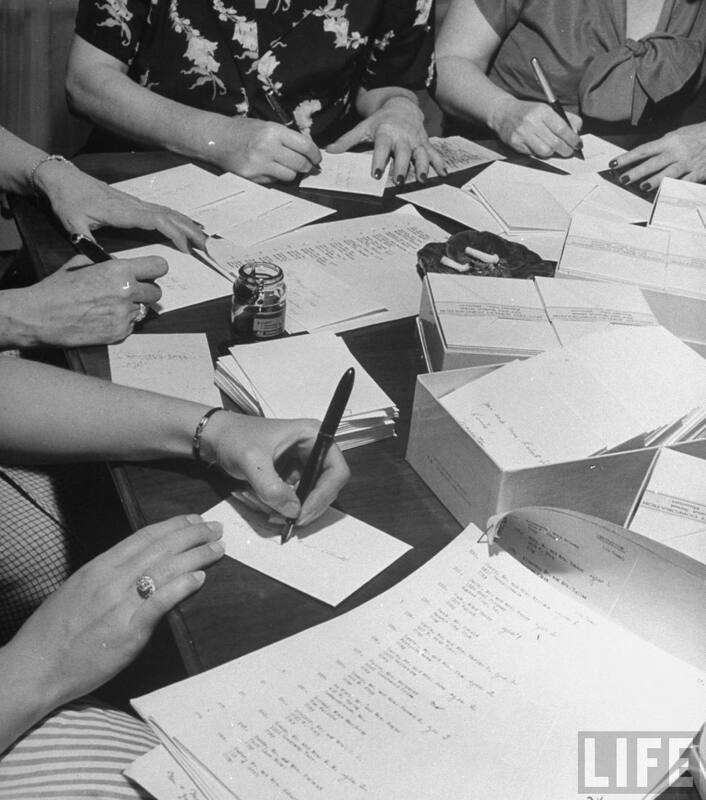 They sit around the dining room table, addressing 525 envelopes 5 weeks before the wedding. 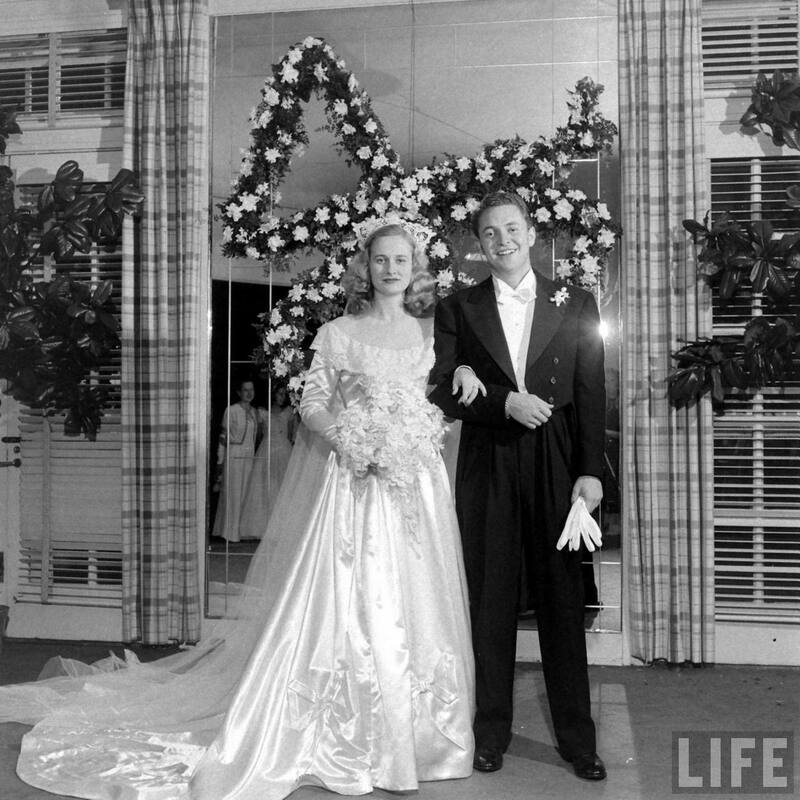 All guests were invited to both the wedding and the reception.©Time, Nina Leen. 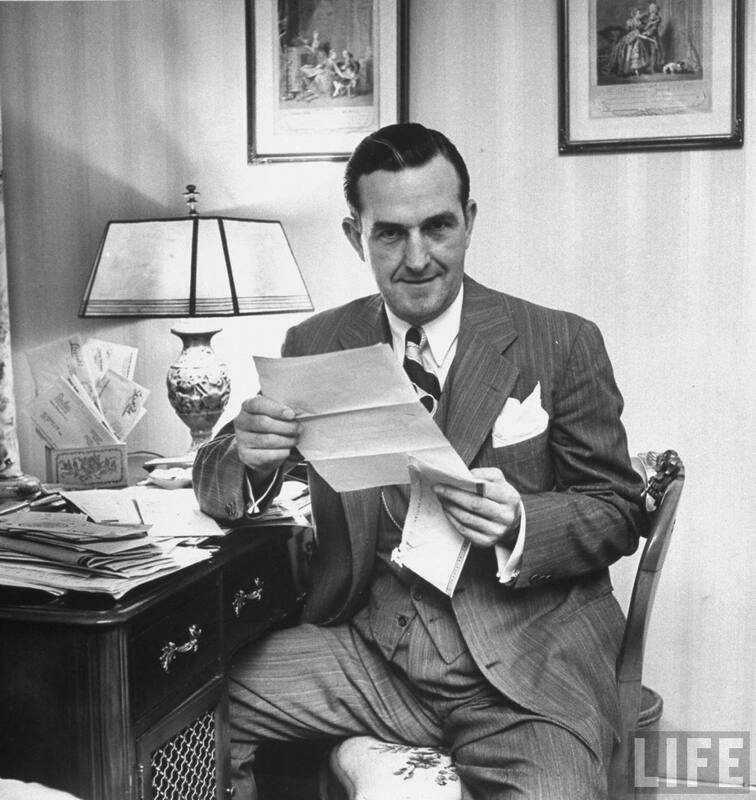 Bride Barbara Winn's father.©Time, Nina Leen.©Time, Nina Leen. 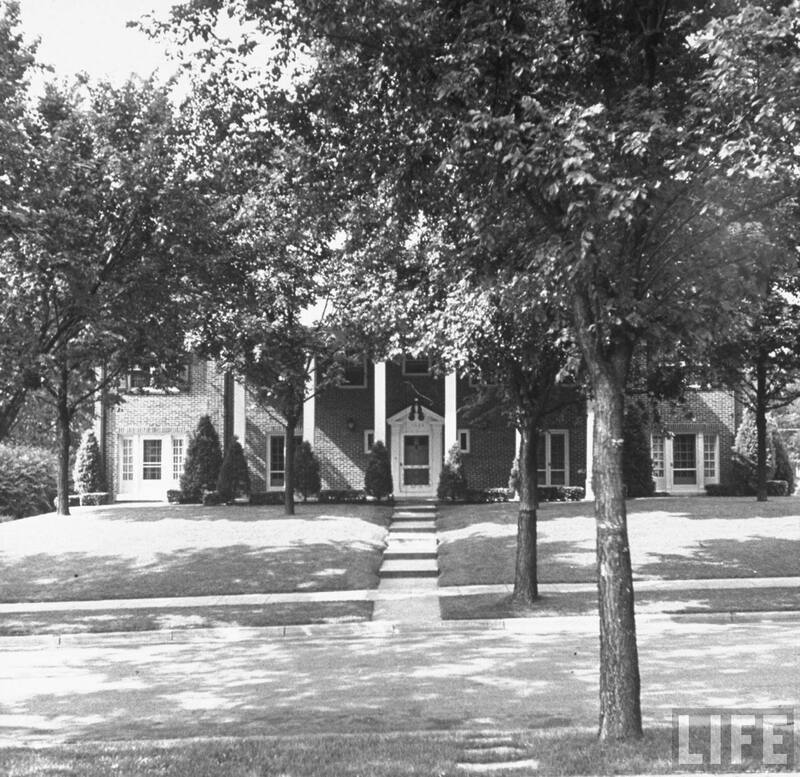 Bride Barbara Winn's home.©Time, Nina Leen. 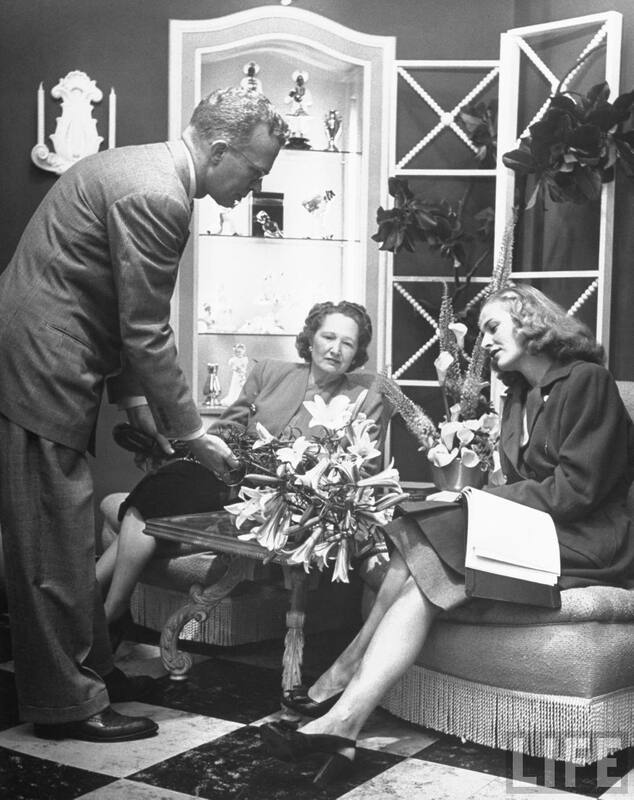 Barbara Winn and her mother buying the flowers for her June wedding.©Time, Nina Leen. 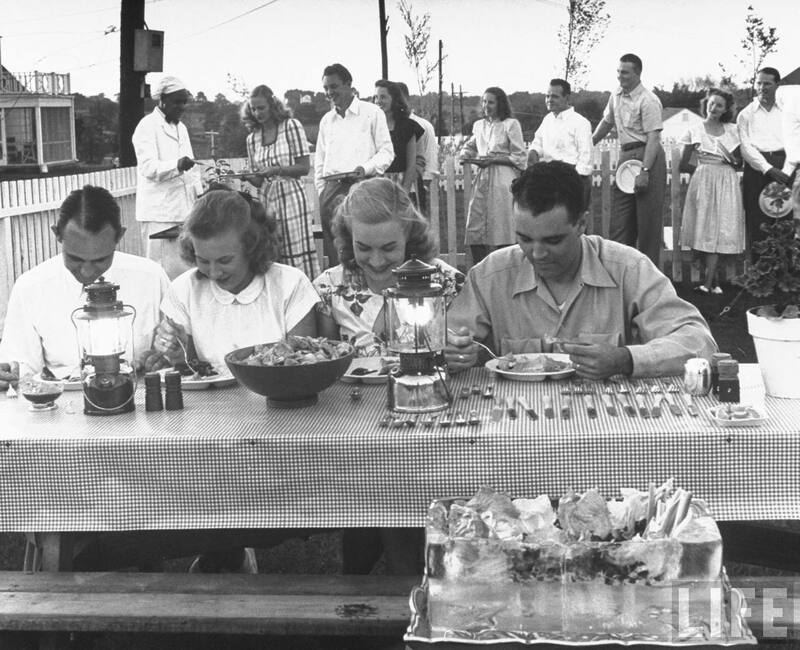 Barbara Winn and Tom Ferell eating a barbecue supper given by Barbara's bridesmaids before the wedding.©Time, Nina Leen. Wedding presents sitting in Barbara Winn's bedroom before her wedding.©Time, Nina Leen. 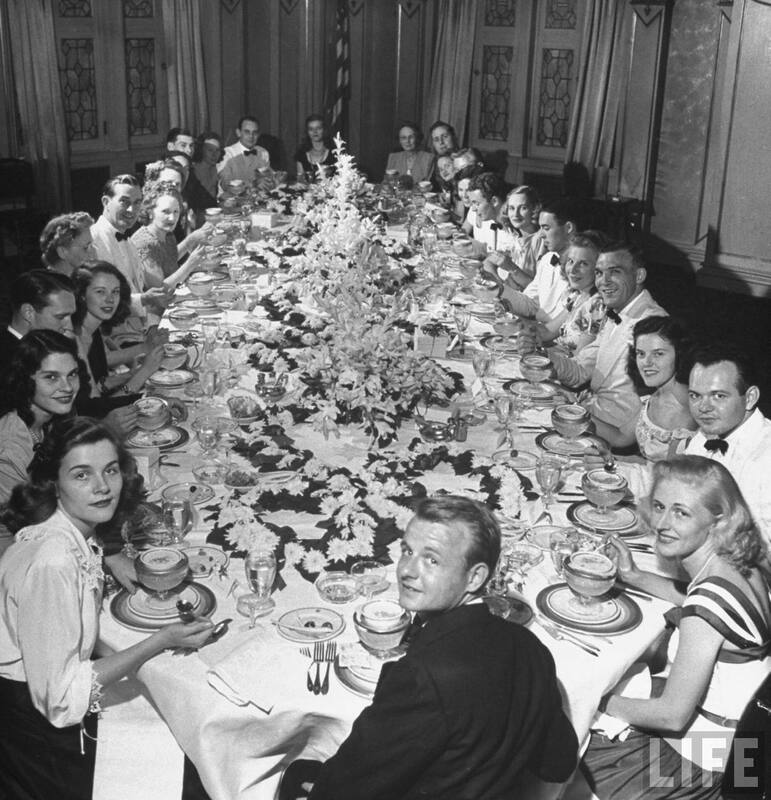 Tom Ferell and Barbara Winn attending their bridal dinner before their wedding.©Time, Nina Leen. 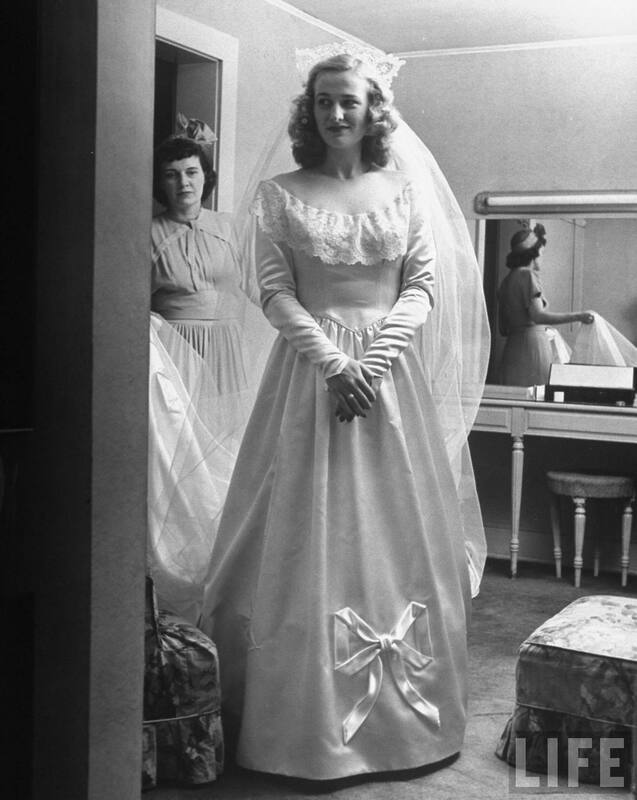 Bride Barbara Winn wearing her new wedding dress for her wedding.©Time, Nina Leen. Bride Barbara Winn wearing a blue garter on her leg for her wedding.©Time, Nina Leen. 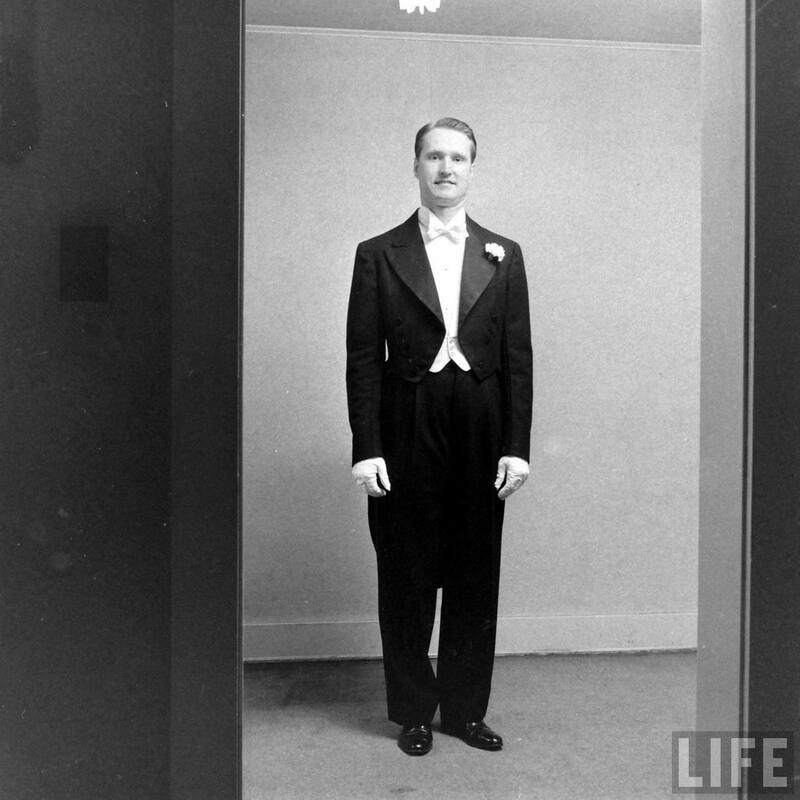 Groomsman,possibly future Johnson County Congressman Congressman Larry Winn.©Time, Nina Leen. 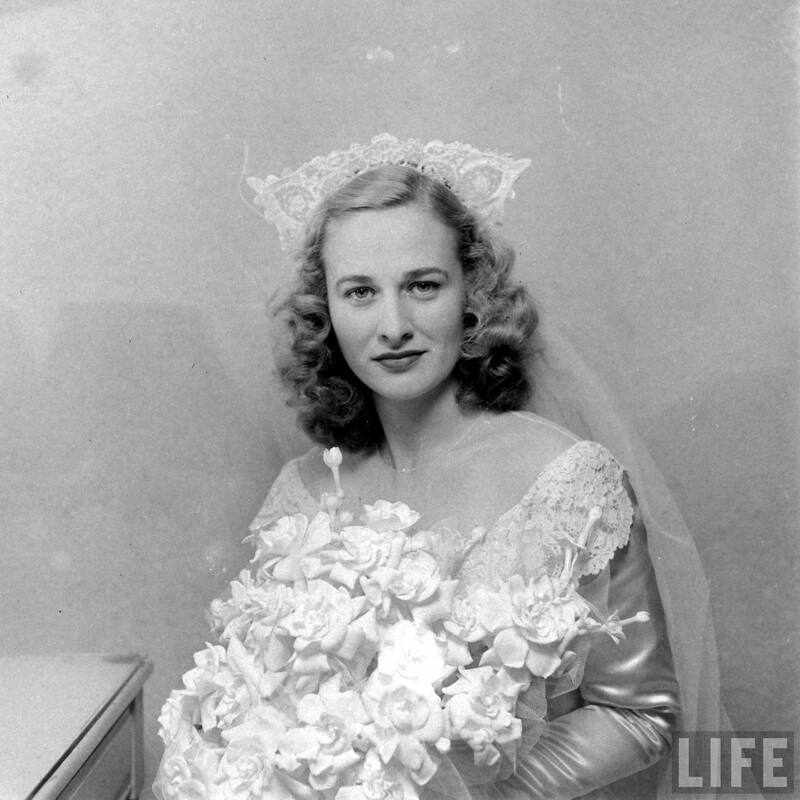 The Bride Barbara Winn.©Time, Nina Leen. Tom Ferell and Barbara Winn walking up the aisle during their wedding.©Time, Nina Leen. 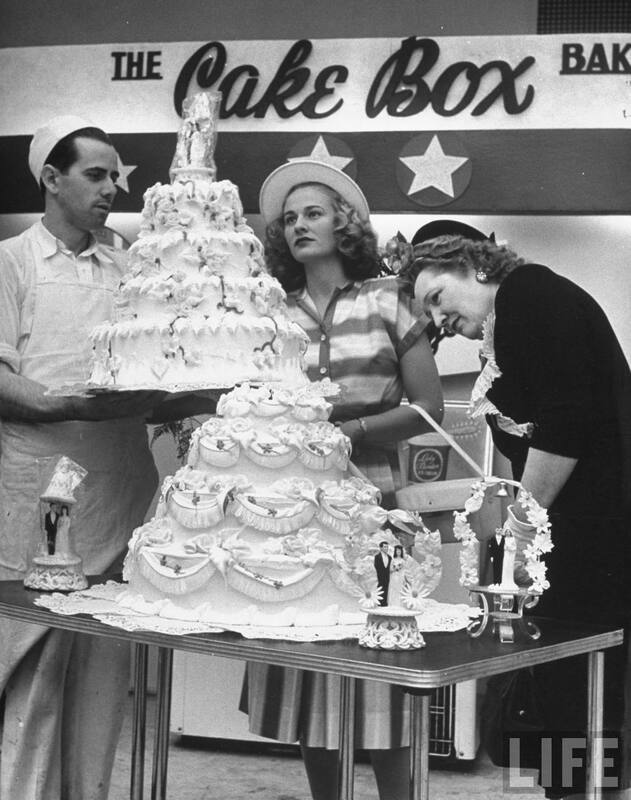 Cutting the Cake.©Time, Nina Leen.